The Touch-Typing Tutor consists of 200 lessons. 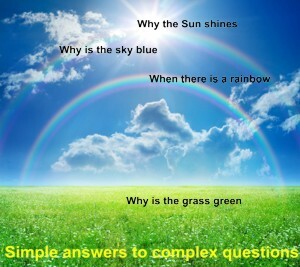 The lessons follow the simple to complex principle. Training starts from the home row. Then comes to the upper row. Then comes to the bottom row. Then comes to the numbers row. For each row, you begin with familiarizing yourself with new letters and keys and end up with a test lesson containing a small exercise based on letters you have learned. Upon completion of a lesson, the student is informed of the relevant statistics and recommendations on further development. Speed is calculated as number of characters per minute. Arrhythmia is time-based spread in consecutively pressed characters with reference to the basic value. The basic value is the average time of the first four hits. The more time between two consecutive hits differs, the greater arrhythmia is. This parameter does not depend on speed. Ideal arrhythmia is achieved when periods between hits are equal. Error is a wrong keystroke. This criterion is the most severe, and this is not accidental because the main task of the Tutor is to develop stable habit of CORRECT touch-typing. On completion of a lesson, the student is provided with short analysis and recommendations on further progress. A student may proceed to the next lesson only if he/she meets certain requirements. Otherwise, one needs to take the lesson again. Every lesson has a difficulty factor (K). The more difficult a lesson is, the higher its difficulty factor. Minimum value of the K factor is 0.25 while maximum value is 1.5.